17 roses bouquet consist of 16 white roses and 1 red rose in the middle. 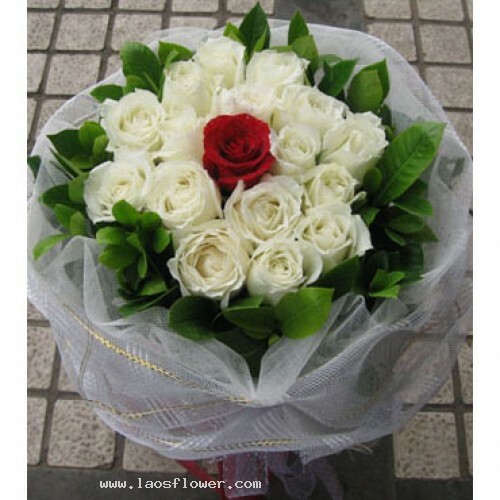 17 roses bouquet consist of 16 white roses and 1 red rose in the middle. Wrapped in white and white bow. The roses, materials used to wrap, and ribbon can be changed to any color you like. Put my head on your chest. It is my passion, as if we are. What God meant us to be. I close my eyes and hear the sound of your heart.